ED Sheeran, the English singer-songwriter and musician turns 23 today. Here is wishing him a very happy birthday. For those of you, who are not familiar with this sensational young music icon, Ed Sheeran, whose pulsating music makes every heart skip a beat, has grown to become a cult by himself among the music circuits across the globe. Added to his reverberating notes is his high-energy performance. Audience would experience a musical ecstasy as he performs live on the stage. Well, if you have not been lucky enough to watch an ED Sheeran Live Concert before, we have a news for you on his birthday. And that is, ED Sheeran is going to perform in India for the first time ever and this concert is being organized as part of The Fly Music Festival. as part of the ‘X’ world tour. And, Mahalaxmi Racecourse, Mumbai, is the place, which is used to the stomping of the ground by the horseshoes, that will have the thousands of pairs of feet thumping the grounds. 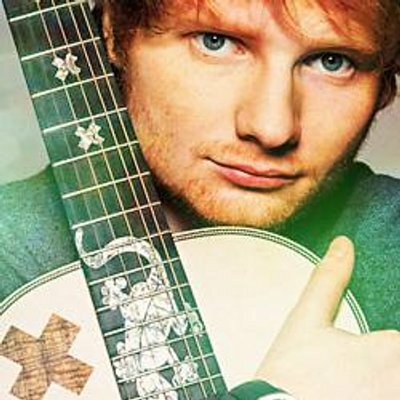 Sheeran broke through all the commercial records with the launch of his debut single,”The A Team” in June 2011, which was ranked at number three on the UK Singles Chart. Buoyed by this amazing ranking and retaining his position in the chartbusters, ED Sheeran continued to pen his success story with his other single, the “Lego House.”His debut album was certified as a quadruple platinum in the United Kingdom and he went on to win two BRIT Awards for Best British Male Solo Artist, and British Breakthrough of the Year in 2012. “The A Team” also won him the most prestigious Ivor Novello Award for Best Song Musically and Lyrically. This apart, the musical sensation also went on to win numerous other laurels and was nominated for several prestigious awards like the Grammy 2014 and 2015, in several categories like the Best Pop Vocal Album – X (Multiply), Best Song Written For Visual Media – I See Fire, and Album Of The Year – X (Multiply). Gift yourself the best musical experience on ED Sheeran’s birthday, by booking your passes for the Ed Sheeran – Fly Music Festival in Mumbai at www.meraevents.com . Hurry and book now as there is a mad rush to grab the passes for the Grammy nominated global phenomenon – Ed Sheeran’s concert passes. Mark the date — March 1, 2015 — in your calendar and be there at the Mahalaxmi Racecourse to be part of his ‘X’ World Tour. Get ready to experience a concert of your lifetime. Here is a video of the Birthday boy ED Sheeran singing the Happy Birthday Song.